Looking for a job in public safety? A pre-employment aptitude test is your first step. The Morris & McDaniel Public Safety Exams are administered by many public safety departments across America. JobTestPrep has developed a Morris & McDaniel cognitive test preparation program focused on getting you to achieve exam success. Each exam contains passages and questions that reflect the essential skills, abilities and personal characteristics that are necessary for effective job performance. 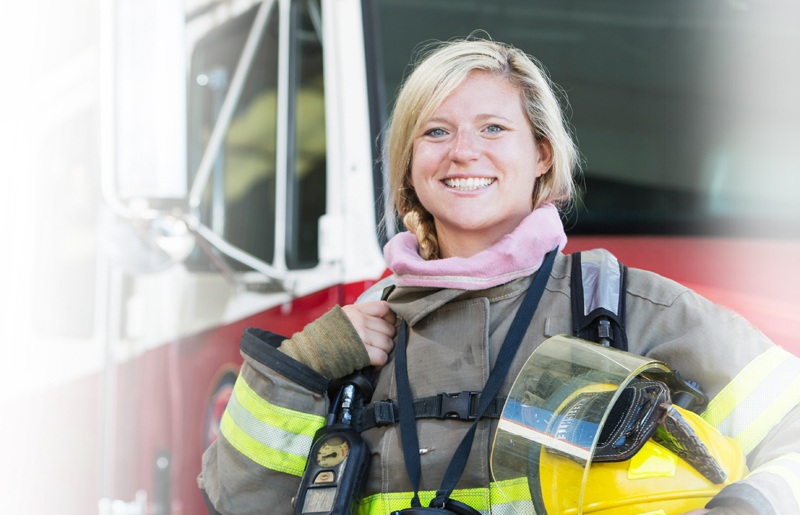 Psychological Evaluation- for Police and Firefighters, ensuring the emotional and personality match-up with the job is more or less a personality test. Entry-Level Police Test (ELP) – Measuring the basic skills required of all Police Officers, the ELP is another hurdle in the selection process that brings the best candidates to the attention of the hiring department. Eight aptitudes are assessed through the ELP: Spatial orientation, inductive reasoning, flexibility of closure, problem sensitivity, memorization, verbal comprehension, semantic ordering and visualization. Reading Ability for Police (RAP) – Set at the reading level needed for training and on-the-job tasks, RAP is a qualifying test that must be passed in order to continue along the hiring process. Candidate Self-Report for Police (CSR-P) – Expect to encounter questions focused on community service, integrity and work ethic. The CSR-P is used to highlight top-tier candidates. Morris Learning Aptitude Test (LAT) – The focus of this exam is on the ability to learn new information, skills, procedures and the use of newly-introduced software and equipment. Mechanical Aptitude Test (MAT) – This exam measures your understanding of fundamental mechanical objects and principles. Candidate Self Report (CSR) – The CSR has proven to be highly predictive of job success. This portion of the Operator Test Battery assesses the applicant’s work ethic, integrity, interest in serving the public, interpersonal skills, ethnic tolerance, teamwork, self-confidence and multi-tasking ability. The 911 Dispatcher Exam Practice was developed for Florida Protective Service agencies. The test is comprised of two parts: Audio and Written. There are four sections in the Audio portion of the test: Recalling Facts, Call Taking, Listening/Checking and Checking Coded Information. The Written portion contains six sections: Evaluating Facts, Setting Priorities, Reading Comprehension, Shift Bulletin, Clarity of Expression and Assigning Units. Morris & McDaniel has worked closely with the Florida Department of Law Enforcement (FDLE) to produce public safety tests, which measure work behaviors, skills and abilities that define successful job performance. You have the affordable option to become well-prepared for your Morris & McDaniel Public Safety Exam through JobTestPrep. Practice tests, study guide, Q & A analysis and exam strategies are all easily accessed and provide a thorough Morris & McDaniel pre-employment test preparation. Subscribe below and be updated the moment our Morris and McDaniel preparation packages go online. Morris and McDaniel and other trademarks are the property of their respective trademark holders. None of the trademark holders are affiliated with JobTestPrep or this website.